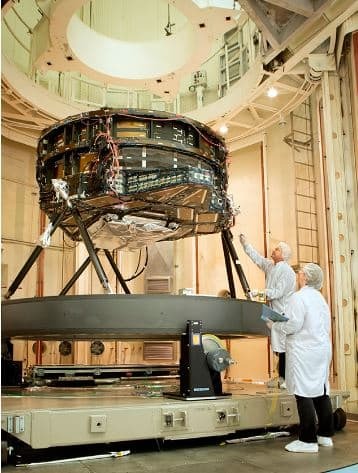 A new powerful telescope named WFIRST (Wide Field Infrared Survey Telescope) is scheduled to be launched in the mid-2020 by NASA. The new telescope is said to have the capability of capturing images which are 100 times larger than those captured by the well known Hubble Space Telescope. According to NASA, the WFIRST will have the same image precision and power as the Hubble Telescope. The USP of the WFIRST is that it can capture very large areas of space without compromising on the image sharpness and detail. To capture such large areas, a 288 megapixel Wide Field Instrument will be fitted to the WFIRST. Another specialized instrument that it will carry is the Coronagraph, which will allow the telescope to capture images and characterize very dim planets next to bright stars. A novel approach has been adopted by NASA to eliminate residual errors from the WFIRST, which occur in all the other telescopes. The use of high format deformable mirrors permits correction of these residual errors. NASA says that a single WFIRST image will contain about a million galaxies, which will allow a new level of research to take place. The WFIRST will require 2.5 KW power for operation. The telescope will assist in the study of dark energy, a relatively new discovered phenomenon, which is supposedly the reason behind the acceleration in the speed of expansion of the Universe. The telescope will also help scientists in measuring the history of cosmic acceleration besides helping in exoplanet expedition. According to WFIRST project scientist Jeffrey Kruk, the telescope will also help understand how the universe evolved from a hot, uniform gas into stars, planets and so on. 100 times bigger than Hubble????????? Thats incredible work.